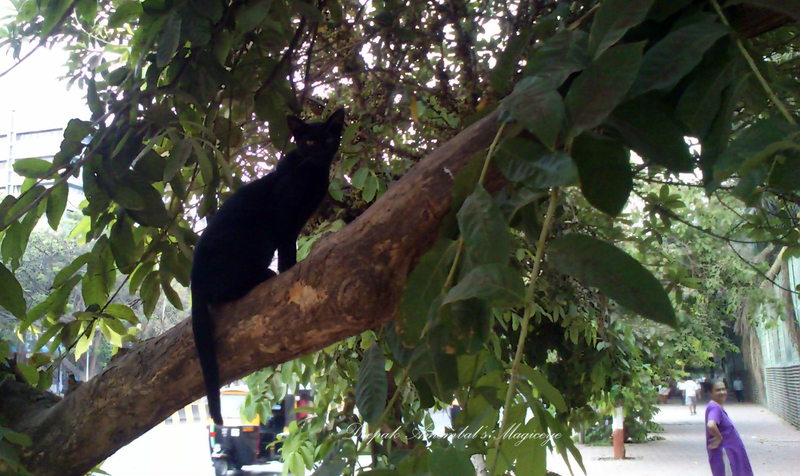 Cat on the prowl in Bandra Kurla Complex. Behind closed doors. 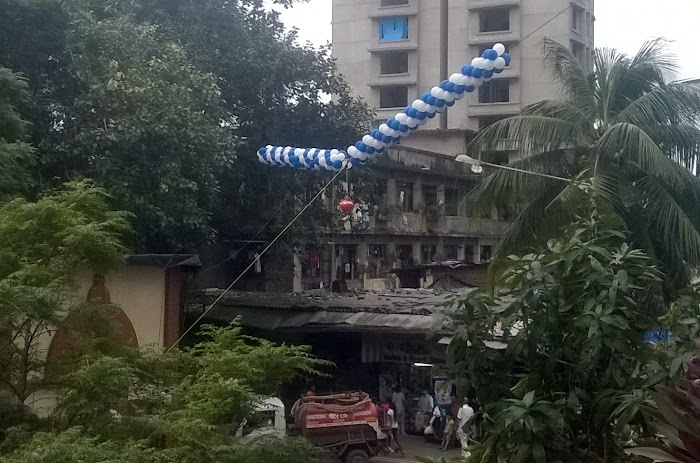 A Municipal godown in Bandra east. 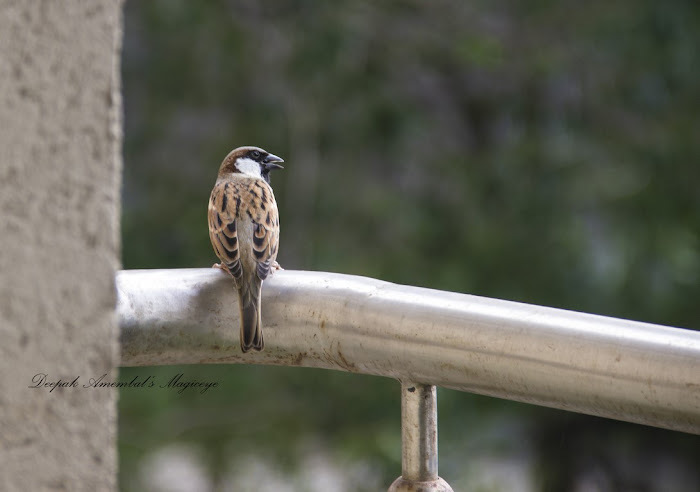 A pair of sparrows just after a fight. This is exactly the situation between different groups in our country and in countries all over the world. So unfortunate. Dahi handi (Pot of curds) is traditionally celebrated on Lord Krishna's birthday who apparently loved it and would beg, borrow or steal to get it. In the picture above you will see a pot hanging from the centre. Well, now it contains just flowers. Youth form the neighbourhood will form human pyramids and break the pot. The group that breaks it will be monetarily rewarded. 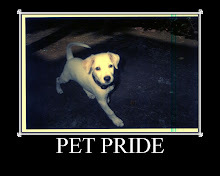 Unfortunately this celebration has been taken over by political parties and become a reason for drunken orgies. 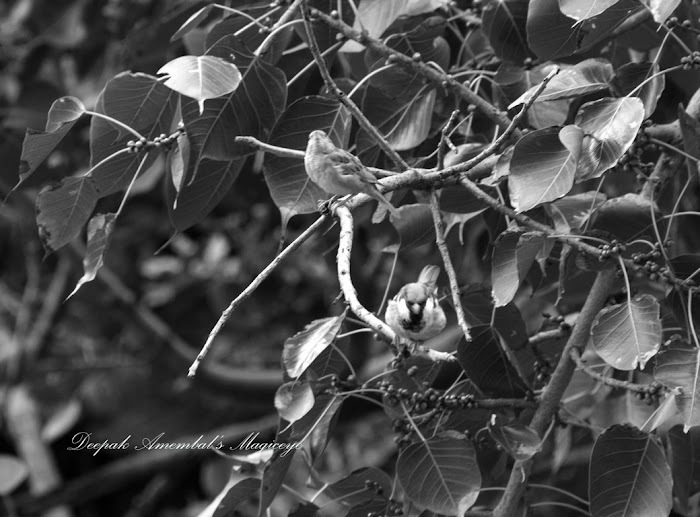 The picture above was clicked in Bandra east. The pot was broken late at night hence I do not have any pictures of the human pyramid. 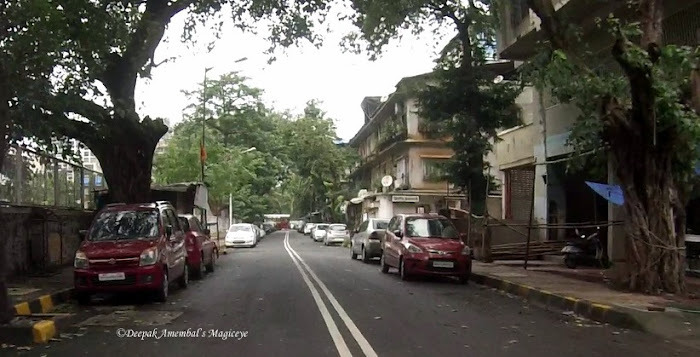 A quiet suburb of Mumbai. Jai Shri Krishna! Celebrating the birthday of Lord Krishna at home. 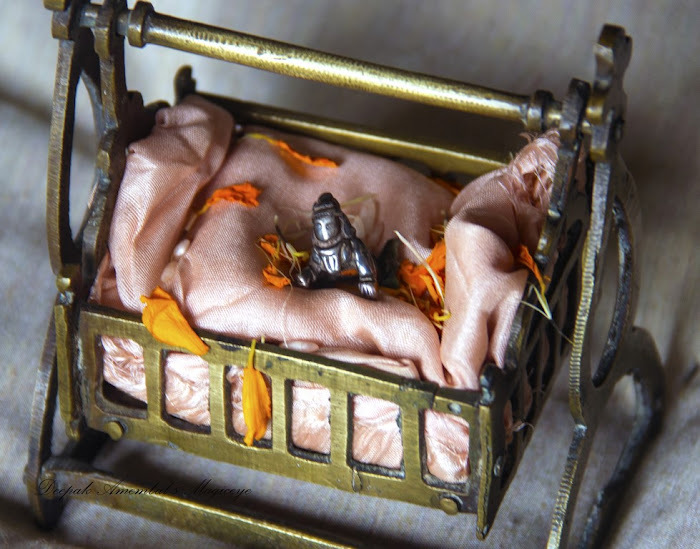 The silver idol of Krishna and the bronze cradle are ancient heirlooms. 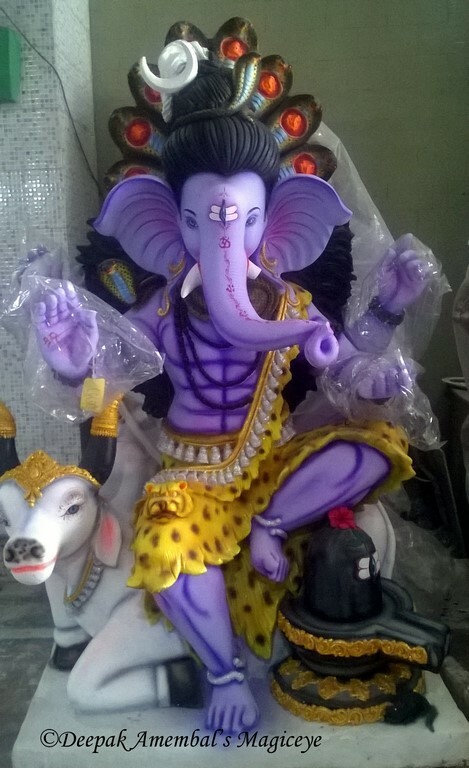 One of the Ganesha idols in the workshop in Bandra west. 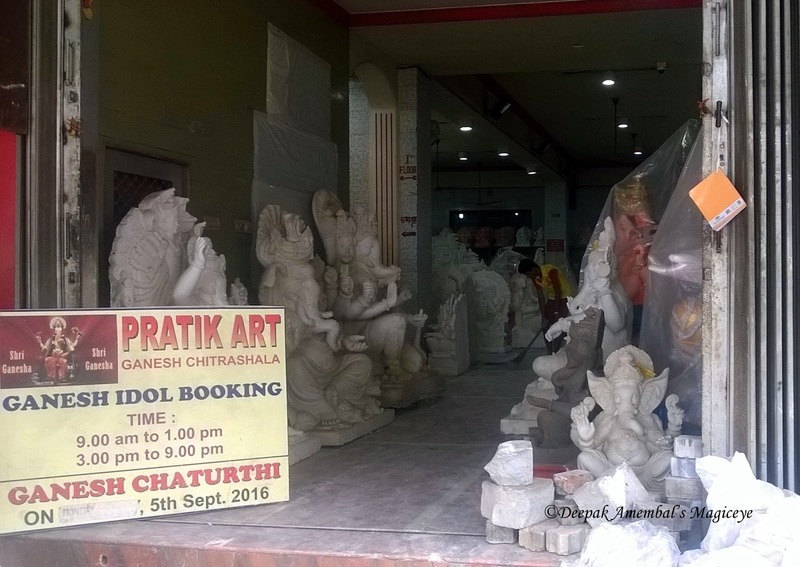 Mumbai getting ready for the 10 days Ganesh festival starting 05sep. 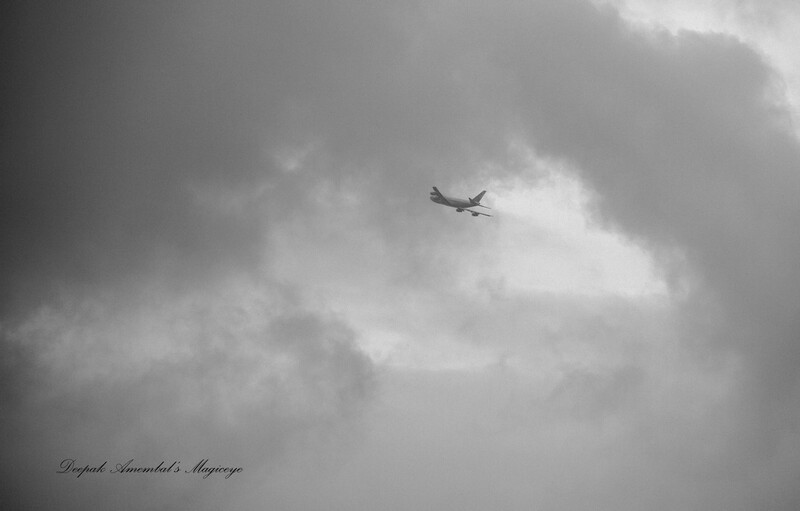 Disappearing into the monsoon clouds. My morning visitor who drops in for the day's news. 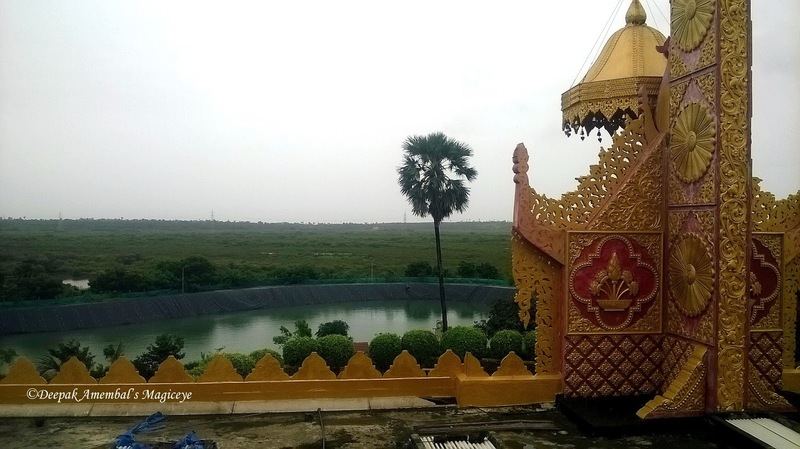 Rain water harvesting at the Golden Pagoda complex in Gorai. 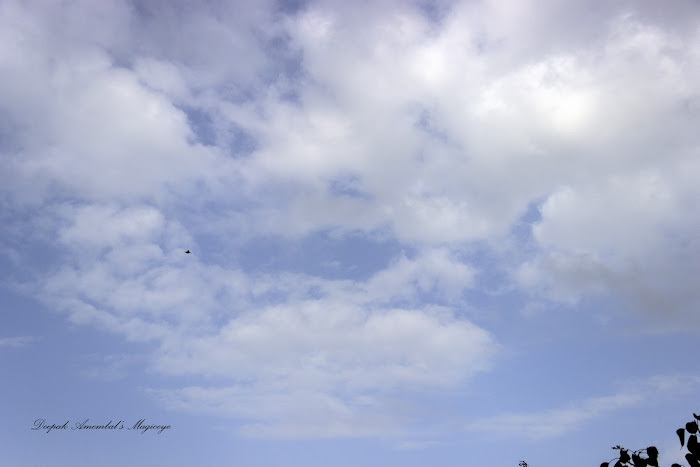 A spot of blue after a fortnight of grey skies in Mumbai. 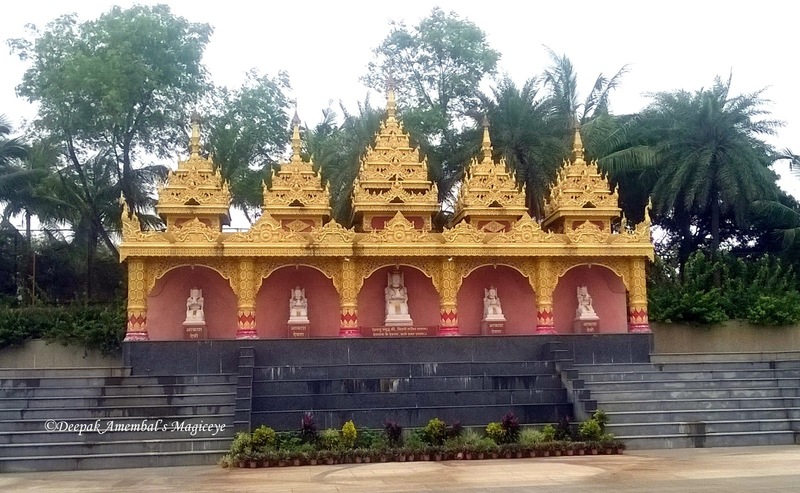 The Vipassana (meditation) centre in the Goden Pagoda complex in Gorai. The domed structure on the left is a Gurudwara (temple for the Sikhs) and the one on the right is a Krishna temple. 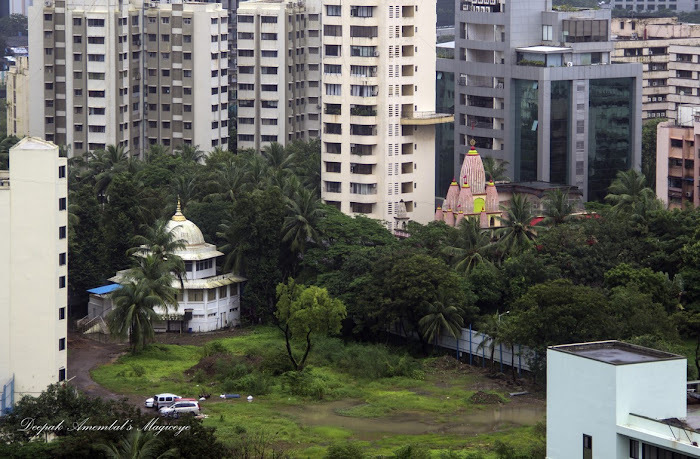 These are in Bandra East. 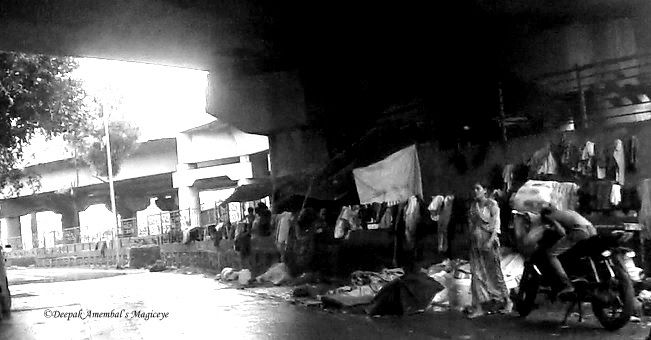 Is there light at the end of the tunnel for the homeless as India celebrates its 70th Independence day today? 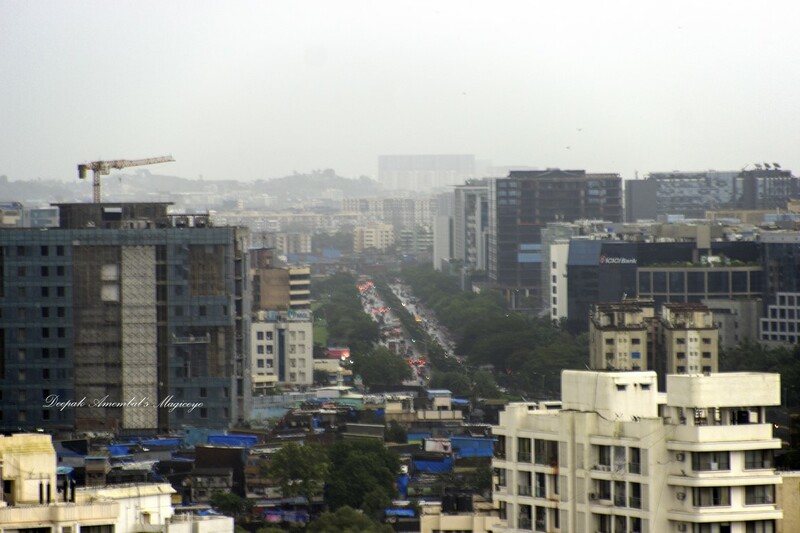 Kurla skyline with the Santacruz Chembur Link road wedged in between. Till about five years back, this part of Mumbai did not boast of skyscrapers. But now, there seems to be a competition on whose building is taller! The skyline indeed has changed. 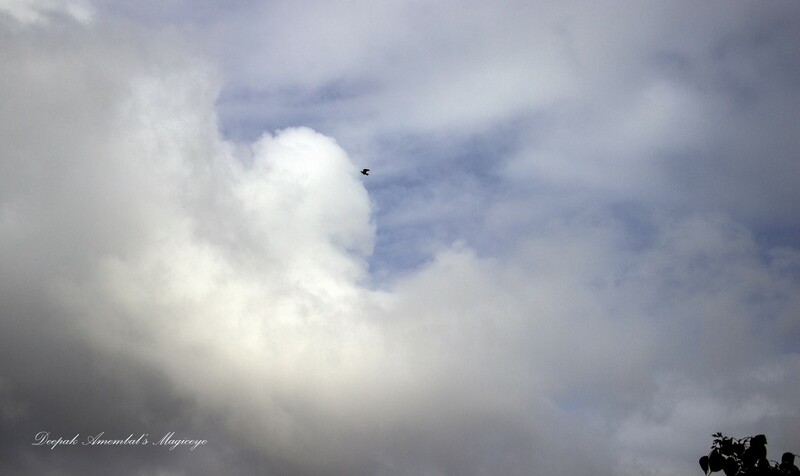 This picture was clicked from my terrace. 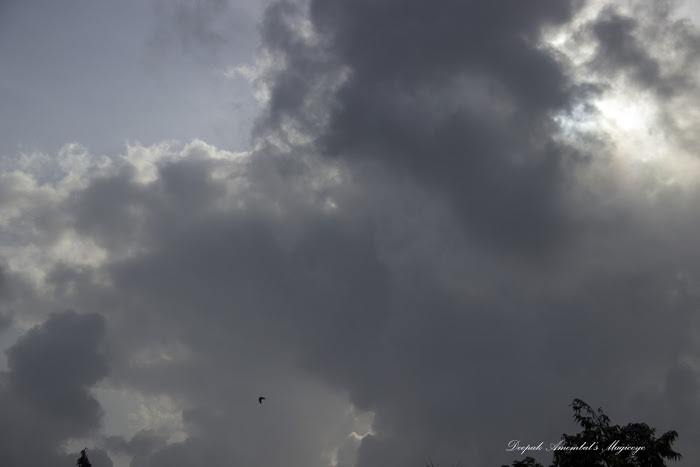 The Mumbai sky last morning!! 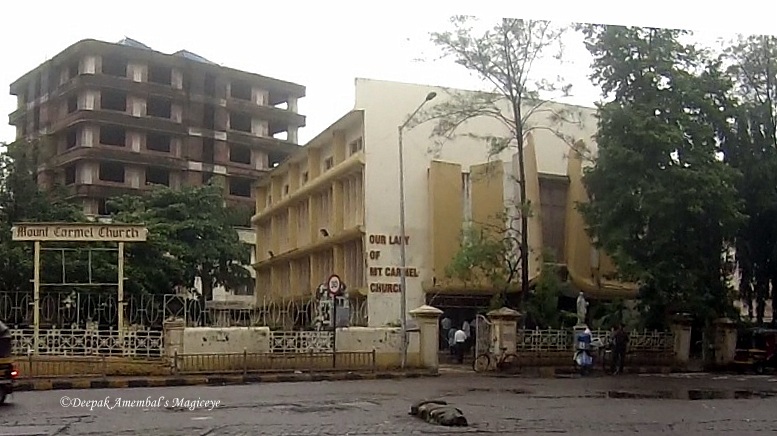 Mount Carmel Church in Bandra west. Ref Wikipedia : The Church of Our Lady of Mount Carmel, Bandra is a Roman Catholic church in Bandra, Mumbai. 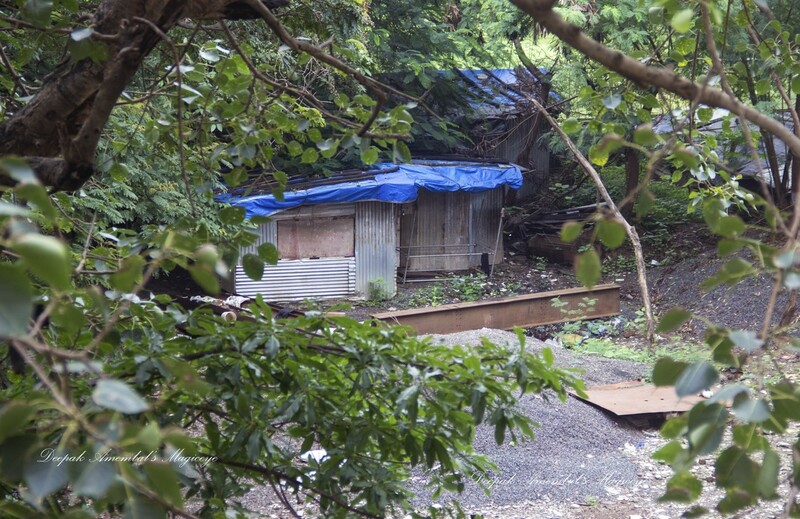 It was built in 1894 by Jesuit Missionaries. 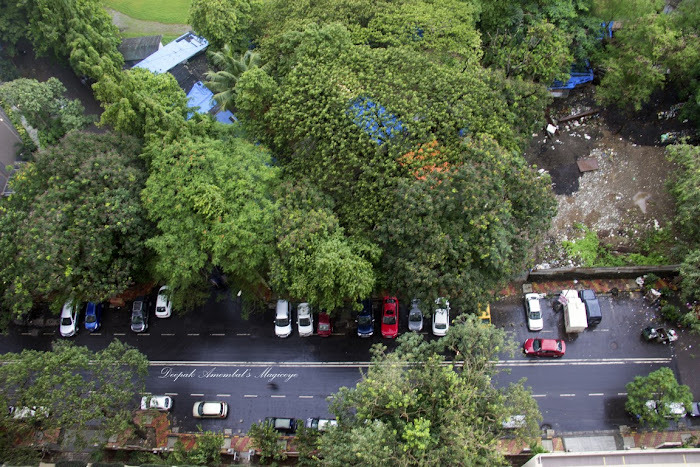 As the catholic population in Bandra increased in the latter half of the 20th century, a new modern structure was constructed in its place. The new church was blessed and inaugurated on 11 February 1981 by Archbishop Simon Pimenta, Archbishop of Bombay. One of the myriad gullies (narrow lanes) in Bandra west. A bird's eyeview of the greenery in Bandra east. 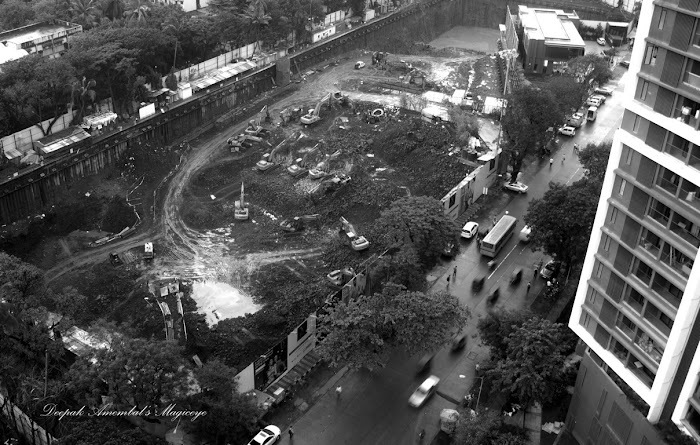 Bird's eyeview of the foundation being laid for a skyscraper in Bandra east. 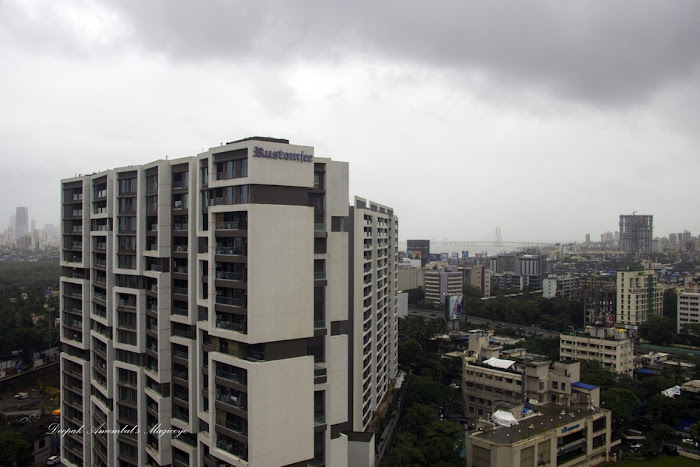 The Bandra Khar skyline during the monsoons. 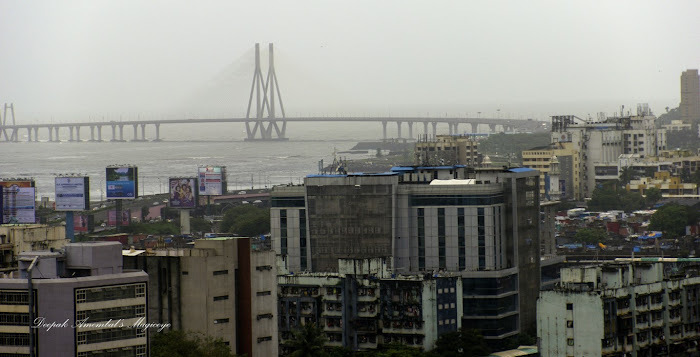 The Bandra Worli sealink as seen from our terrace in Bandra east on a rainy evening. 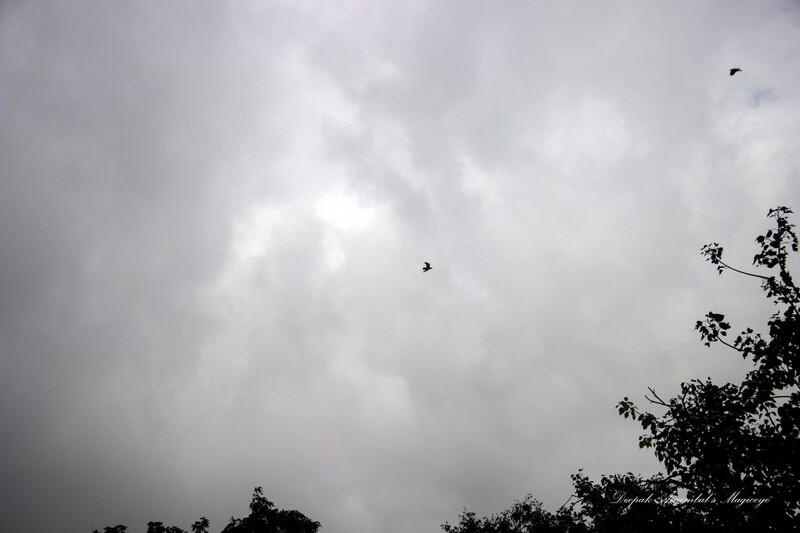 Birds rendezvous in the cloudy monsoon skies of Mumbai.